We have been offering a wide range of HDPE PLB Duct Pipes and Fittings such as pipe conduits, pipe ducts, HDPE Conduits, PLB HDPE Ducts, that are manufactured from virgin Quality Raw Material sourced from reliable vendors across the globe. These pipe conduits, pipe ducts, HDPE conduits, PLB HDPE Ducts are manufactured as per the various Indian as well as International standards or can be customized as per the specifications of our clients. 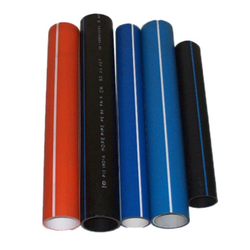 HDPE PLB Duct 40 mm are designed and engineered to house the sensitive nerves of Information technology i.e. optical fibers thus enabling information transfer across the globe. Available as per Indian, International Standards or Customers requirements Most Suited for Pulling Optical Fibre Cable (OFC), Telecom, Electrical Lines etc. Permanently lubricated HPDE Telecom Ducts are manufactured with the superior grade of High-Density Polyethylene materials. HDPE pipes manufactured meets all the requirements of TEC Specifications as well as IS 4984-1995. 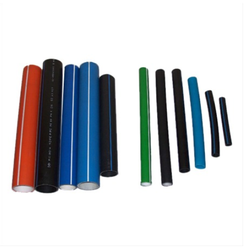 Lubrication : Permanently lubricated HDPE Telecom Ducts have special lubricated compound on Inner Side for Conveying Optical Fiber cables with extremely low friction. Coefficient of Friction between the inside of the HDPE Duct and the outside of the inserted communication cable does not exceed 0.06. 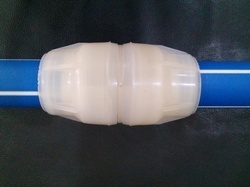 Properties of Lubricant are Its strongly locked into HDPE. 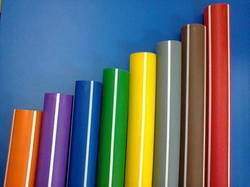 It has same physical/mechanical properties as HDPE except low Coefficient of Friction value which is less than 0.06. Its evenly distributed around the bore and along the length of duct. Does not react with water, hence it is possible to clean the duct by water stream in case of any obstruction/accident. Have same frictional properties during life of the duct. HDPE Ducts are suitable for installation in the field dirt trenches, under sidewalks, roads, within communication networks, between communication centers and between cities. They can also be used in branch networks between cells, distribution cabinets, poles, in walls and within subterranean networks of homes, allowing the insertion of optical or copper communication cables, as well as TV/cable aluminium co-axial cables. Cables can be inserted in through the pipe by blowing, with an internal air-pressure up to eight bars. 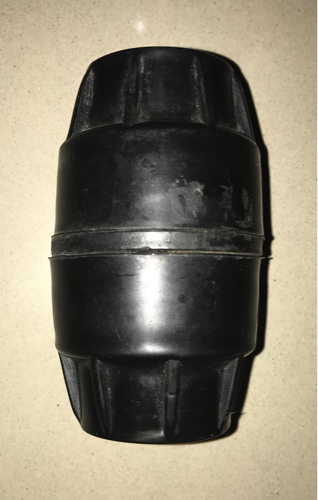 40 MM Push Fit Duct Coupler are used for jointing two HDPE ducts together and provide Air Tight and Water Tight leak-Proof joint ensuring smooth and safe cable blowing Couplers supplied by us are manufactured using Virgin Grade Raw Material and known best for its Quality. 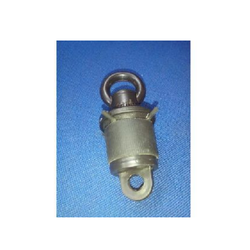 We manufacture and supply HDPE Duct End Plug for 40 mm OD / 33 mm ID HDPE PLB Duct, These End Plugs are used to Seal or Close the HDPE PLB Duct Ends before installation of Cable so as to prevent the foreign matter particles like Dust etc. to enter the Duct. Smoothly finished our products are available in different sizes with optimum quality. Highly long-lasting our products are reliable in nature. Meeting to industry norms and guidelines our profiles are available at nominal prices. Furthermore, to satisfy divergent demands of the clients, we offer these products in different sizes and designs. Over years, we have been successfully satisfying the diverse needs of our esteemed clients by providing a flawless gamut of PLB Duct Pipes . These Duct Pipes are used to house and protect fiber optic and metal cable in the telecommunications and electric power industries. Our offered duct pipes are available in a wide range of sizes, colors, and options, HDPE Duct pipes are the only product you need. This conduit can be installed through blowing, open/continuous trench, directional boring or pulled through existing conduits. Maintaining quality standard, we are the leading manufacturer, exporter, supplier, wholesaler & importer of HDPE Duct Fitting. The offered duct easily installed in rocky, sandy or uneven hard terrain water savings are 50%, compared to traditional irrigation methods. This duct is used for laying Optical Fiber Cables as underground ducting/conduits. The offered duct is available in wide standard width range. Size (Inch) 0 - 1.5/8"
Duct Pipe Cutters are used for cutting all type of plastic Pipes very smoothly including HDPE Duct, PPR Pipes, PP Pipes, HDPE / MDPE Pipes etc. 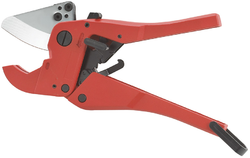 Pipe Cutters are of Scissor Type and Rotary Type Manual Plastic Pipe cutters are suitable for cutting Plastic pipes upto 160 mm Outer Diameter. The cutter range is designed and manufactured in adherence with the set industry norms using highly developed technology and optimum quality raw materials at vendors' end. In tune with industry quality standard, we provide this cutter in various sizes and specifications, as per the need of our clients. Suitable for cutting PVC polyethylene pipe and synthetic resins up to 0 - 1.5/8" ( 0 - 42 mm ) and heat treated blade cuts many pieces without any trouble, our vendors' quality examiners perform a series of test on different parameters, in order to ensure the quality of this cutter. 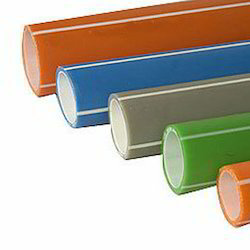 Our company has craved a distinguished position in the industry for the manufacturing and supplying a wide range of PLB HDPE Ducts.We offer our clients with finest quality HDPE PLB pipe which are manufactured as per TEC standards and used by telecom companies for optical fibre ducting and also for electrical cable ducting. These HDPE PLB Pipe conform to international standards and are exported worldwide. 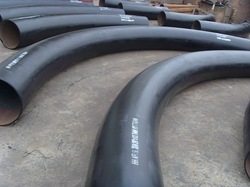 Pipe Bends is also called HDPE Stub End, HDPE Collar, Stub Flange, Tail Piece etc. HDPE Pipe Ends are used with HDPE or Metal Slip-on Flanges. HDPE Pipe End are of two types according to it's neck Length, Long Neck Type and Short Neck Type. Duct Pipe Cutters are used for cutting all type of plastic Pipes very smoothly including HDPE Duct, PPR Pipes, PP Pipes, HDPE / MDPE Pipes etc. 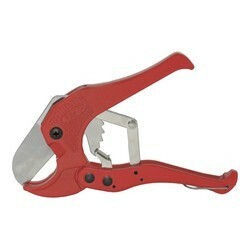 Pipe Cutters are of Scissor Type and Rotary Type Manual Plastic Pipe cutters are suitable for cutting Plastic pipes. The cutter range is designed and manufactured in adherence with the set industry norms using highly developed technology and optimum quality raw materials at vendors' end. In tune with industry quality standard, we provide this cutter in various sizes and specifications, as per the need of our clients. Suitable for cutting PVC polyethylene pipe and synthetic resins and heat treated blade cuts many pieces without any trouble, our vendors' quality examiners perform a series of test on different parameters, in order to ensure the quality of this cutter.